My not so new pair of used shoes that I picked up in Damascus from a fellow hiker, proved to be less than desirable as I set off for Pearisburg, VA on Sunday. And when I say less than desirable, I mean complete and utter pain and anguish. After 12 miles of torture and tears we made it to a road and Megan and I hitched to the next trail town of Pearisburg. We discovered, shortly after we were dropped off in town, that Pearisburg did not have an outfitters store where I could find another pair of boots/shoes. It was late, we stayed the night at a great little catholic church hostel and decided to leave the shoe issue until the morning. Monday, we made a cardboard sign that said "Blacksburg" on it and stood in the intersection near Walmart, trying to convince any kind soul to give us a ride to the nearest town with an outfitters. We made it eventually and I was fitted for a new pair of boots. Later that day Megan and I headed South out of Pearisburg to finish the section we had skipped. Hiking south, when you are used to hiking north is a bit disorienting. We continually ran into people that were a day or two or three, behind us. It was actually kind of fun catching up with some of our friends. In three and a half days we punched out over 70 miles. Ouch, I'm ready for a rest. We have made it back to Pearisburg after completing the section we skipped, and are ready to head North again. 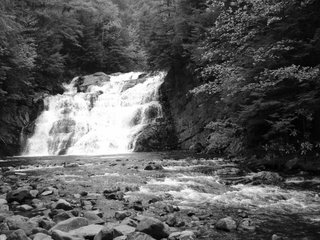 Next stop will be Troutville, VA.
Damascus, Virginia is home of the annual "Trail Days" Festival since 1987 when a hiker decided to create a festival to honor the 50th anniversary of the existence of the Appalachian Trail. Damascus is often referred to as the friendliest town on the trail for various reasons. The town folks are very receptive of hikers and many churches provide transportation, lodging, and food throughout the thru-hiker season. But all of this is nil compared to the hospitality shown to hikers during "Trail Days". 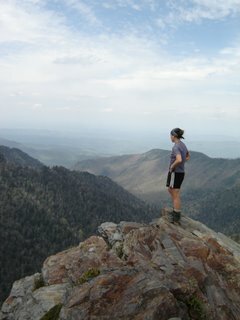 Megan and myself, along with many other hikers have been in town since Thursday night. We have had at least 3 free meals provided by churches, and other organizations. Our lodging is costing us $4 a night to stay in a bunkhouse behind the Damascus Methodist Church. There are vendors and gear manufacturers set up in town that will provide free advice, maintenance, and repairs for a variety of backpacking gear. I've had a free massage, blood and blood pressure test, % body fat test, and ice cream sundae. I love this town. Today was the annual hiker parade. All of the thru-hikers, past and present, lined up according to the year that they thru-hiked and marched through town. The locals lined the streets with water balloons, water hoses, and super soakers to drench us as we walked. Sounds mean, doesn't it? The hikers didn't come unprepared, however. We also armed ourselves with stuff sacks and food sacks filled with water balloons and water grenades. We carried super soakers and other various water guns to fight back. What a fun walk. No one stayed dry, and after all of this rain this past month, not one person complained about the sogginess of their attire. 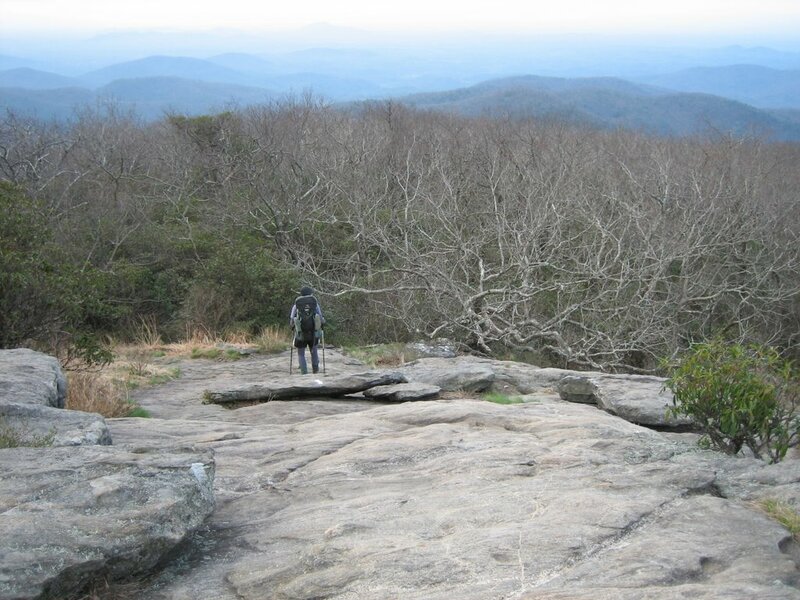 Tomorrow we hike onward toward Pearisburg, Virginia. Hoping to arrive sometime late this week. Hey folks. I've finally put together an itinerary for the next part of our journey. It will take us through the entire state of Virginia and into West Virginia. The dates, of course, are an estimation, so if you are sending mail please send it at least a week in advance, and check the blog before sending it to make sure we aren't a few days ahead of schedule. Please remember to send "General Delivery" and put my name on the top line. Include the ETA and also write "hold for A.T. hiker". Thank you to all who are dropping us notes of encouragement along the way. It is tons of fun to get mail on the trail! We have made it to Damascus, Virginia healthy and happy. Out here our senses are on 24 hour call. The smells, the sights, the sounds - they are never ending. Some of the sensations bring instant joy and elation, others bring a feeling of dread. Examples of sensations that bring dread: (1) the smell of damp, dirty socks in the morning (putting them on is a must no matter how musty they smell. (2) a drop of temperature by 10 degrees with a slight breeze to boot (rain within 15 minutes for sure). (3) the sight of a completely filled shelter when we've just hiked 20 miles in the cold rain. I like to focus on the sensations that bring joy and elation. I can't say I always focus on these, but I do try my hardest to overcome the feeling of dread that sometimes sneaks into my being. Examples of sensations that bring joy: (1) the smell of pine needles as you enter a pine forest at high elevations. (2) the smell of laundry detergent on newly washed clothes (this one doesn't last very long - an hour tops). (3) the glimpse of the sun through a small hole in the gray covered sky or the sight of my shadow for a brief moment before the clouds swallow up the sun once again. (4) the sound of cars on a highway in addition to the barking of dogs. I'd like to expand on #4 if I may. The reason I feel joy when I hear traffic and dogs barking at the same time is because if you take one of those sounds without the other, there is an entirely different means at the end. For instance, the sound of traffic means there is a road that will eventually intersect with the trail. That, in and of itself, is not too terribly exciting. The A.T. crosses numerous roads: county roads, forest service roads, highways, interstates. Traffic does not mean town. Now think about the traffic sound and add a dog barking -- now the sound means something entirely different than just a highway or byway. It speaks to me saying there is a community of people down there at the bottom of this mountain. And if a dog is barking I can assume there are some houses, houses mean people, people mean jobs, jobs mean shops. I get super excited when I hear this combination of sounds. My mind usually begins to go into overdrive, I begin imagining the people of the community below me in the valley. People who care for pets as well as the others within their homes. People who live in structures with four sides, a roof, and windows and doors. Structures with furniture inside such as an easy chair, sofa, and a bed. A bed that most likely has clean linens on it and smells fresh like spring flowers. Porches with rockers and tall glasses of sweet tea or lemonade, maybe a few homemade muffins or cookies on a plate nearby. You see where I'm going, no wonder I get so darn excited about hearing dogs and traffic noises. A simple joy. I've been interested in the people with whom I am journeying toward Katahdin with. I've met people of varying age, culture, background, and personality. And as I am gaining a better understanding of the typical "thru-hiker", I've come up with a way to categorize the hikers into different sects according to their knowledge of and their experiences with backpacking. As a teacher, I am always asked to enhance learning by tying into what my students already know. So here I go: Backpackers can be grouped into four basic groups according to knowledge and experience. The first type of backpacker that we run into is the backpacker that we will put into the group known as the "high school graduate". 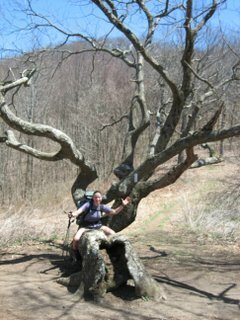 This backpacker has read much about backpacking and in fact knows quite a few statistics about the Appalachian Trail itself, including proper gear that should be carried. The "high school graduate" backpacker, however, has limited experience with actually backpacking. 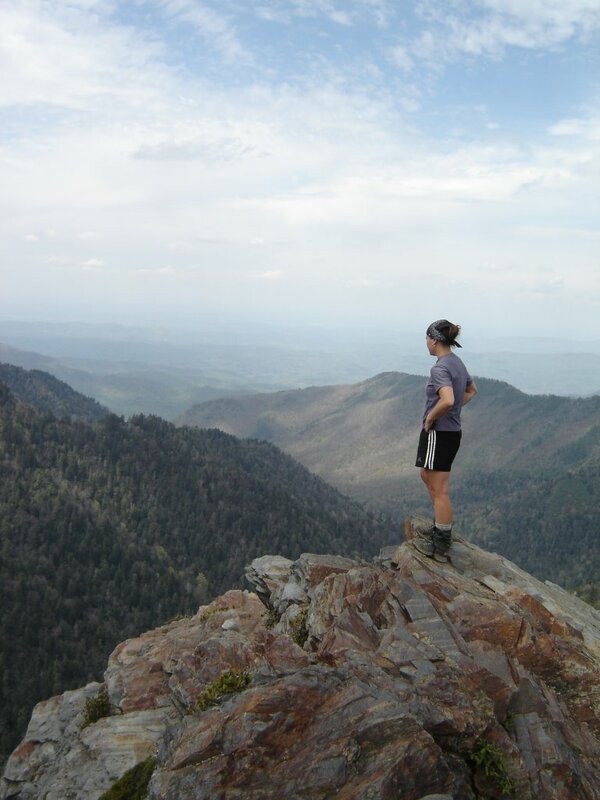 They may have gone on some family camping trips as a child, or done quite a few day hikes, but the whole idea of long distance backpacking is a whole new experience. 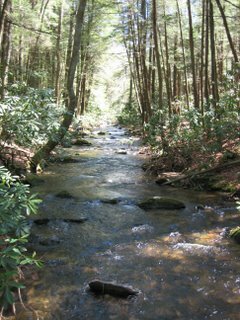 Initially, this hiker is enthusiastic and jolly, but upon days of constant rain and gloom will fairly easily decide home would be a better place to spend the time. The second type of backpacker fits into the group that would be the "bachelors degree holders". 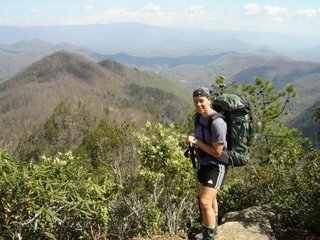 This group of backpackers have studied and learned about the Appalachian Trail and backpacking in general for a few years. They are familiar with the A.T. jargon and have a few friends that have either hiked sections of the A.T. or thru-hiked it at one time or another. The bachelors degree holders also have a much more extensive hiking background. They have section hiked the A.T., completed small scale backpacking trips (weekend to week long), and have had to rely on themselves to survive in the outdoors on numerous occasions. These individuals have a better idea of what the trail will hold in terms of the joys and the trials. (side note: Megan and I fall into this category). The third category of backpackers is the "master degree holders". This backpacker is very knowledgeable about the Applachian Trail because they have thru-hiked the trail previously. They know the trail community and throw around jargon and trail names like everyone should know what is going on. They are fully confident in their ability to survive, and should be, based on their experience. The masters are well known in the trail community and are not shy about telling the high school graduates and the bachelors what gear they should be carrying and why. To some, the masters can be overwhelming in their self-confident (tipping on arrogant) nature, based on their constant chatter of what is coming up over the next mountain, where you should stay in the next town, and what is the right or wrong way to hike the A.T.
And lastly we have the category of hikers that I like to refer to as the "doctoral degree holders". The doctorates are the individuals out here who have not only thru-hiked the A.T. previously, but they have also thru-hiked one or two of our country's long distance hiking trails - the Pacific Crest Trail, or the Continental Divide Trail (or both). These backpackers are the 'gods' of the trail, they carry the best and most expensive gear (usually), they have the most relevant knowledge to share, and the rest of us are in awe of their accomplishments. They are inspirations to the hiking community. 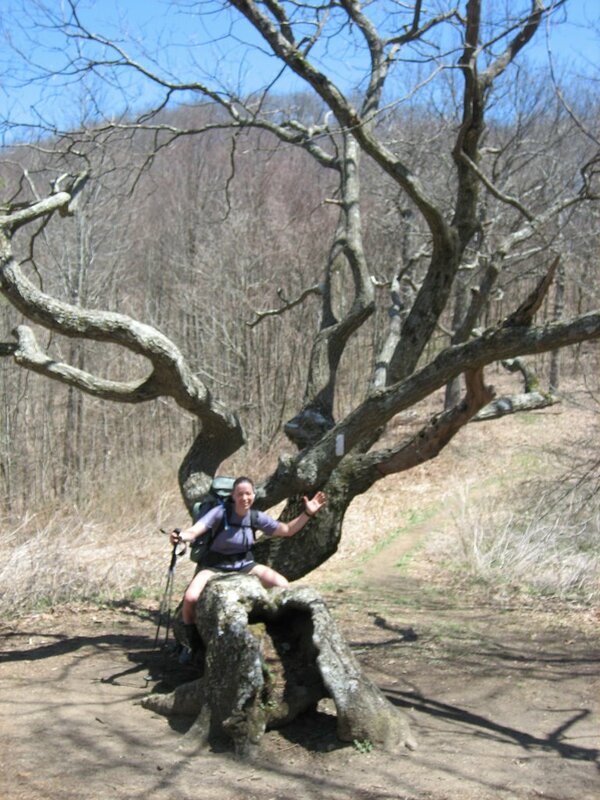 The individuals who have hiked all three of our nations long distance trails are known as "triple crowners". I have only met one of these individuals, but he is known up and down this trail in legendary status. 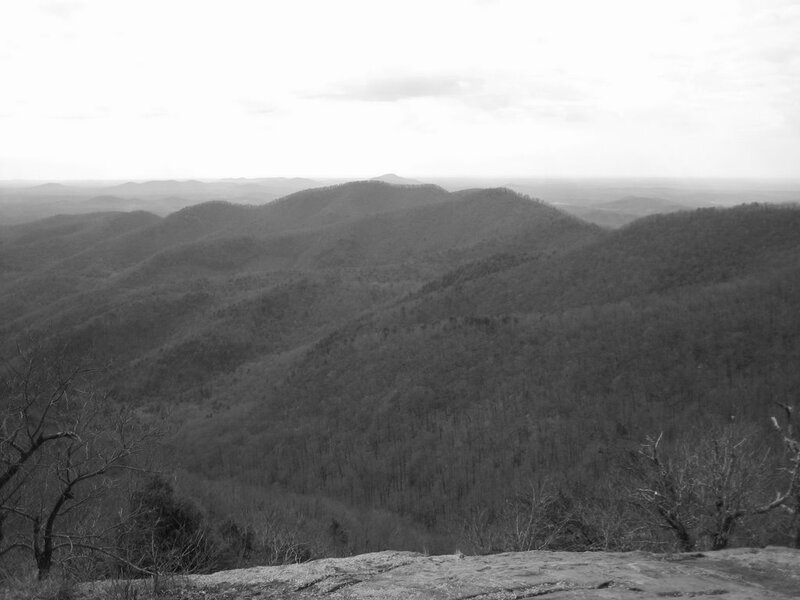 There you have it, my synopsis on the division of Appalachian Trail thru-hikers based on their knowledge and experience. I've been rolling this around in my head for a month and finally put the categories together just the other day. That was definitely a full day's work. Or was it a full month's work? Whew! Whatever it was, I'm tired! Did Someone Say Trail Magic? As you become more familiar with the lore of the Appalachian Trail, you begin to understand some of the things that folks talk about out here. One of those things is what is known as "trail magic". Trail Magic includes any random acts of kindness, usually involving food and drink, produced by people who are not hiking the trail (the civilized folks). These individuals are known as "trail angels". Our first official experience with trail magic occurred two days after we left Hot Springs. Upon leaving Hot Springs, Megan and I noticed a type written sign posted to a tree near one of the road crossings. The sign read: "TRAIL ANGELS will be at Sam's Gap on May 1st serving hot dogs, hamburgers, soda from 11:00am - 4:00 pm." We looked at each other, checked our watches for the date, and decided right then and there, we were going to do everything within our power to propel us to Sam's Gap by May 1st. The only problem was that the date was April 29th and we had about 42 miles between that sign and Sam's Gap to cover in 2 1/2 days. 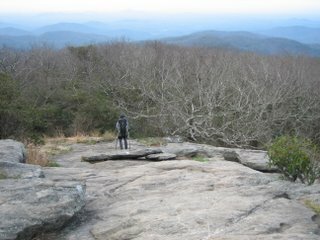 To make a long story short, we experienced decent weather (even though the forecast had called for thunderstorms each day), made good time, and covered the distance needed to walk into Sam's Gap by 1:00pm on May 1st for the delicious food. Best tasting hamburger I've ever had. Fresh lettuce, onions, tomatoes. Chips, cookies, Crispy Creme Donuts, soda. The food was never ending. 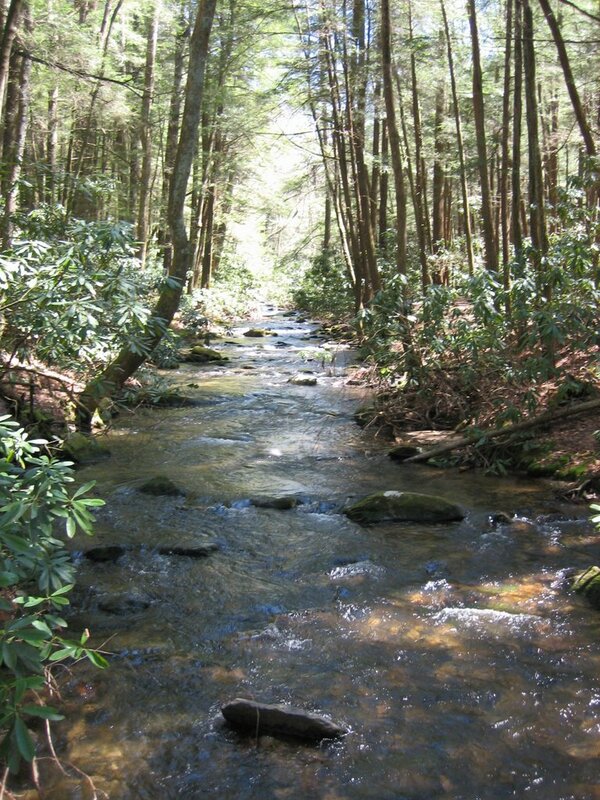 The trail angels were a group of men (50s-70s) who were involved in an Appalachian Trail Club where they do trail magic, such as this, up and down the trail throughout the thru-hiker season. They were headed to New Hampshire in July! I was amazed! As Megan and I sat on the roadside at Sam's Gap stuffing our faces with the gifts of food and drink, we formulated a plan for the next couple of days that sounded heavenly. We had been dying to try this thing called "slack packing". Slack Packing is where we get to a town, leave our packs at a hostel or hotel, get shuttled to the trail head, and hike as many miles as we can with only a day pack (day pack = 5 lbs, regular pack = 30 lbs: big difference). Then, at the end of the day you catch a shuttle back to the hostel/hotel and get to sleep in a nice warm bed, have a shower, and eat real food. Therefore, we get the best of both worlds. We still do the mileage, without our heavy packs of course, but we also get to sleep in comfort at the end of the day. Brilliant, eh? 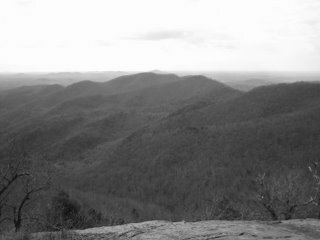 Needless to say, yesterday was awesome, we hiked 24 miles from Sam's Gap to Erwin, T.N. without our heavy packs, and still made it in time for dinner and a shower. Life is looking up! Next Trail Town: Damascus, V.A.